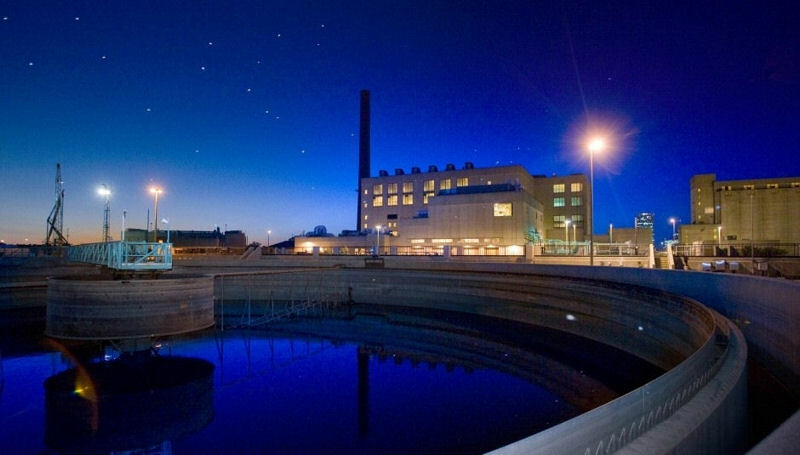 Jones Island Water Reclamation Facility is run jointly by Veolia Water North America (Chicago) and the Milwaukee Metropolitan Sewerage District through a private-public partnership that serves 1.1 million customers in southern Wisconsin. One of the main attractions of Doors Open Milwaukee, the facility draws thousands of visitors annually. Photo courtesy of Veolia. Of the 150 attractions, such as free tours of historic churches and museums, offered during the annual Doors Open Milwaukee, the Jones Island Water Reclamation Facility (Milwaukee) is one of the most popular. The 1.1 million-m3/d (300-mgd) facility, which is run jointly by Veolia Water North America (Chicago) and the Milwaukee Metropolitan Sewerage District through a private-public partnership, has hosted more than 20,000 visitors from 22 different countries since Veolia started operating the facility 7 years ago, said Joyce W. Harms, communications and community relations manager at Veolia Water Milwaukee. 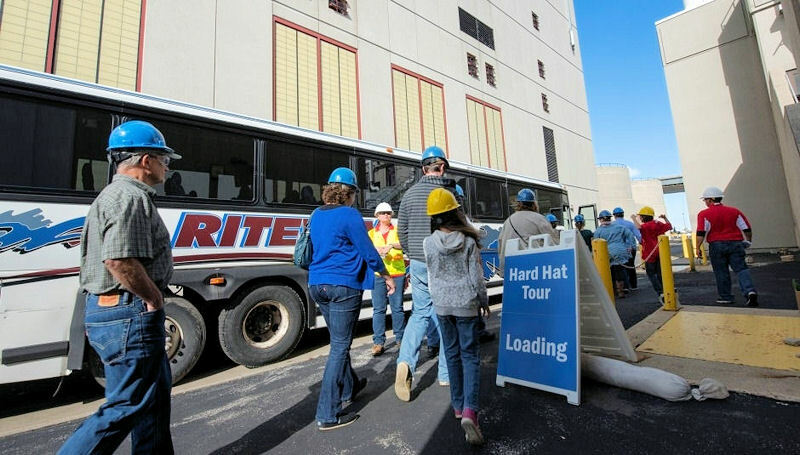 Visitors toured the Jones Island Water Reclamation Facility on a bus as part of Doors Open Milwaukee. The annual event has experienced double-digit growth since its inaugural year in 2011. Photo courtesy of Veolia. Visitors’ reasons vary for wanting to see the water resource recovery facility (WRRF). 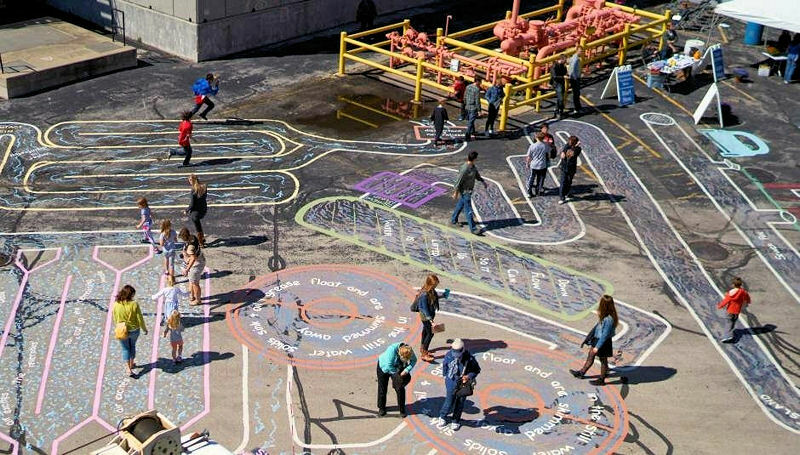 Before boarding busses, Doors Open visitors walked the artist-created Wastewater Maze, which provided an up-close view of the wastewater treatment process. Photo courtesy of Veolia. 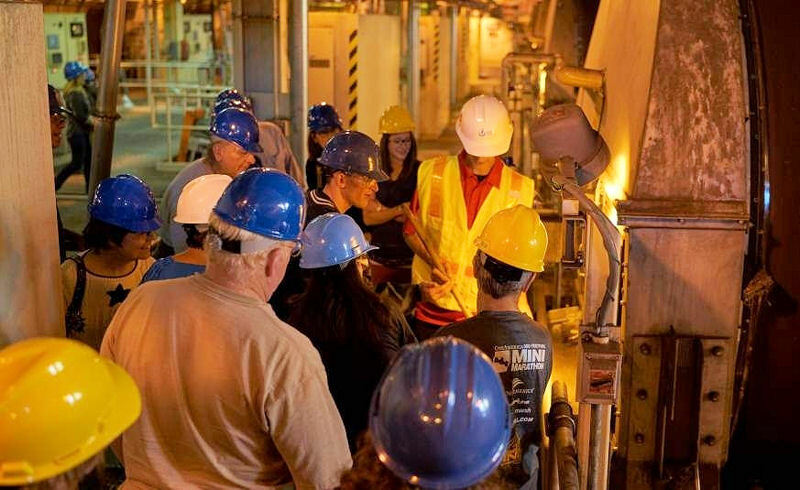 Visitors have the opportunity to take a 60-minute, in-depth tour that includes “donning a hard hat and safety glasses to watch the Milorganite production process, or they can opt for a 30-minute [‘load-and-go’] tour. Both tours travel via motor coach around the entire [30 ha] 75-ac Jones Island facility,” Harms said. Visitors also can view the “workhorses of wastewater” — the bacteria used during the treatment process — under high-power microscopes, she said. Or they can “walk the path of wastewater” through a parking-lot sized maze that traces the whole wastewater treatment process. Jones Island Water Reclamation Facility visitors often include children who are eager to see what happens at a water resource recovery facility and enjoy examining the trucks and playing in chalk-art areas. 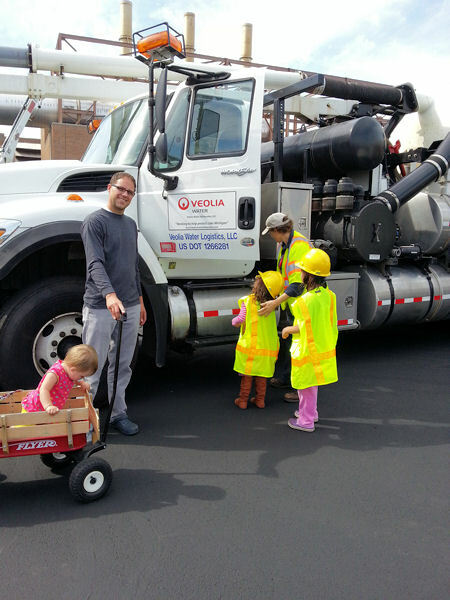 Photo courtesy of Veolia. For the WRRF to entertain so many visitors, and pull off the task flawlessly, requires several months of preparation. “The logistics and details for our Doors Open event have grown be to quite complex and necessitates support from across departments — buildings and grounds, safety and operations — to make certain that we get it right,” Harms said.